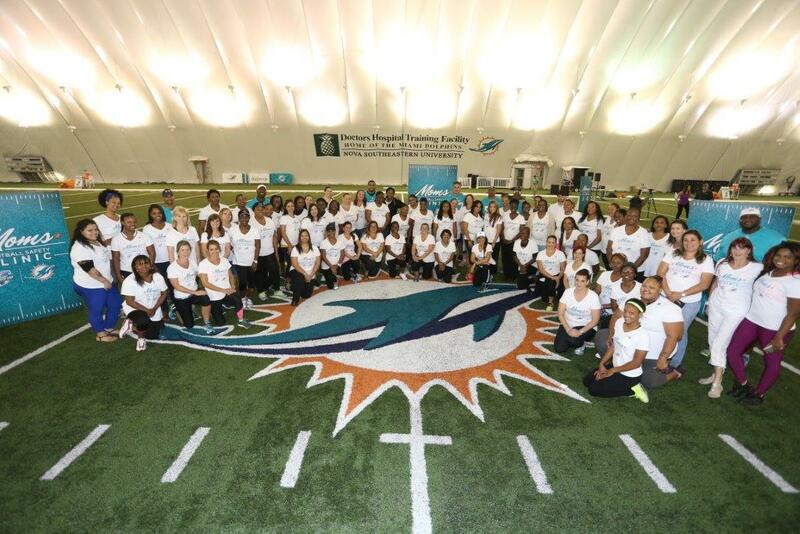 Last month the Miami Dolphins, in partnership with USA Football’s national initiative of Heads Up Football, and DE Olivier Vernon hosted their second annual Mom’s Clinic. The free clinic included information about nutrition including healthy snacks, heat and hydration, and equipment fitting. It concluded with interactive drills that showed proper Heads Up Football tackling techniques. 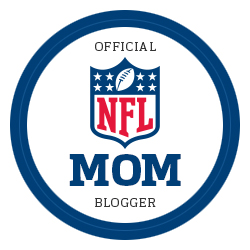 I was invited to become an NFL blogger and cover this event that was geared towards mother’s whose children participate in youth football. Guest speakers included wives and mother’s of current Dolphins players and coaches, as well as the Fins Assistant Athletic Trainer and Equipment Manager. I took particular interest in the presentation of Dolphins Nutritionist Mary Ellen Bingham, who shared a wealth of information regarding hydration and nutrition of our littlest athletes. With summer around the corner and new sports seasons gearing up, Bingham recommends fueling your child’s practice with pre and post practice healthy snacks. She directs her athletes to eat a good snack 30-60 minutes prior to practice and one within 30 minutes after completion of the exercise to promote faster muscle recovery. 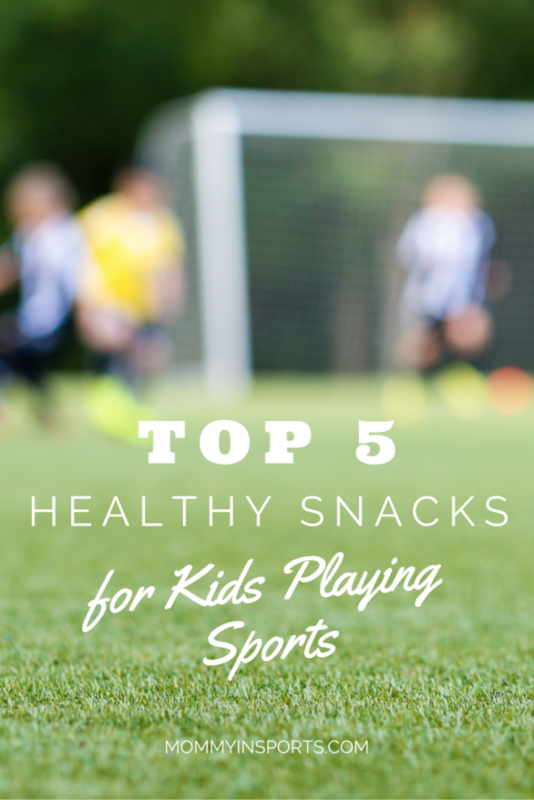 One of the biggest questions from the crowd of busy moms was which snacks to pack for kids who play sports after school? Or if you’re a snack mom, what is the best snack to bring for a hungry team of future sports stars? Mary Ellen told me, “I consider snacking to be a launching pad in between meals because it keeps energy level up through the day. Pairing a protein with a carbohydrate is key for all athletes no matter their age or ability.” Here is Bingham’s list! 1. An apple with Peanut Butter or Almond Butter – the apple will give you the carbohydrate, the nut butter is a healthy protein. 2. Trail Mix – The nuts are the healthy fat paired with raisins or other carbohydrate. 3. 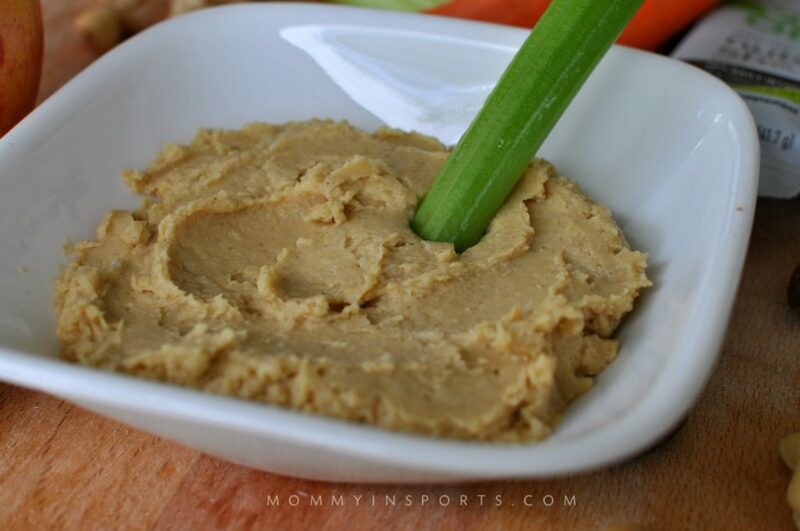 Hummus with Vegetables – Bring carrots or whatever they’re willing to eat. Tomatoes, celery or cumbers are good too. 4. Chocolate Milk – I love this as an excellent recovery beverage. There’s an anti-dairy sentiment nowadays, but I do support dairy as it is naturally full of carbs, electrolytes, and protein – everything that is lost in exercising is replenished. The snack mom could bring a cooler and put little chocolate milks on ice for the kids. 5. Greek Yogurt and Berries – This is great especially as a parfait. Not sure if mom’s have time to make these but these are an excellent option. And if you don’t have time to make a whole food snack for your child’s team and prefer to buy a premade snack, Mary Ellen recommends Larabars. “The Larabar is actually a food bar, it’s a date-based bar. The apple pie bar is going to have dates, apples, walnuts and cinnamon and these are a great option. It really is food that is just smushed together.” I concur. 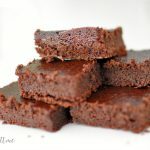 These are fabulous and though full of sugar, it is a natural food based sugar. She also added that making protein smoothies on the weekends and freezing them in mason jars is another excellent snack. They can throw them in their backpacks and the smoothie will be thawed afters school! Thanks to the Miami Dolphins for inviting me to this excellent event! I look forward to covering the NFL this season and bringing you more interesting and helpful info from the pro’s. If your little ones play football, let me know what you’d like to know in the comments below! 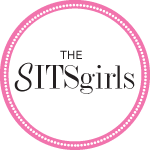 And if you’re looking for healthy snack ideas check out my post Top 5 Healthy Snacks for Women on the Go! Or follow along on Pinterest or Facebook! That is a great list, and I also love the Chocolate milk added in there! Shared this on FB! Thanks! Awesome list of snack! I love them all! I know right? So smart! Aren’t they perfect? 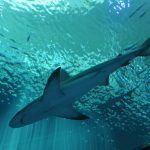 And not really a job – just an added bonus of cool things to cover! Great snack ideas! My kids love chocolate milk but I would never think of it as a snack. Me either! It’s great after swimming, ballet, gymnastics, soccer etc! And so easy to pop in a cooler with some trail mix! I like that the nutritionist promotes snacking to fuel kids for their activities. It’s a good message to kids and parents that eating healthy will help them perform better both on the field and in the classroom. I’m sharing, too. great list! My kids love greek yogurt!! Looking forward to seeing more NFL related posts! Congrats on being asked to be an NFL blogger! Love the ideas for these snacks. Even though our kids aren’t yet involved in organized sports, I’m always looking for snacks that will balance protein and healthy carbs. Thank you so much! I love her ideas too! Great suggestions! My kids LOVE hummus. They could eat loads of the stuff. It’s so healthy too. I love apples with peanut butter – it’s one of my personal favourite go-to snacks. Mine don’t ironically but we are trying it again! I was so excited when studies came out about the benefits of chocolate milk after exercise. I would take that over a sports drink any day! I love all of these snacks, even as an adult and a non-athlete! I loved hearing about the Larabar. I once ate one of those diet bars – not for any dieting purposes – but I was hungry and someone had one. Oh boy – it did NOT agree with me. Never again! Thank you for the post! 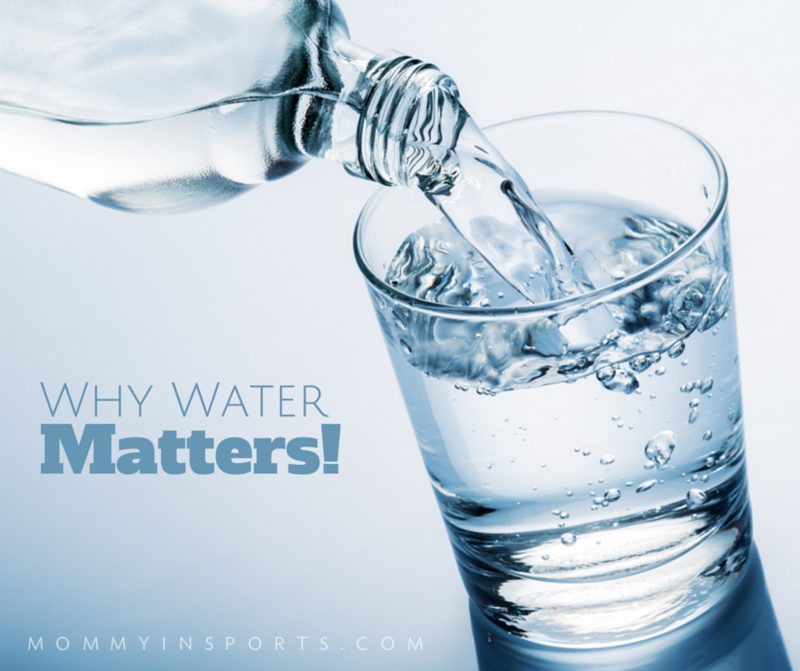 You are most certainly right about the water – so many problems in growing kids’ bodies are simply due to dehydration. This is essential especially as a young athlete!